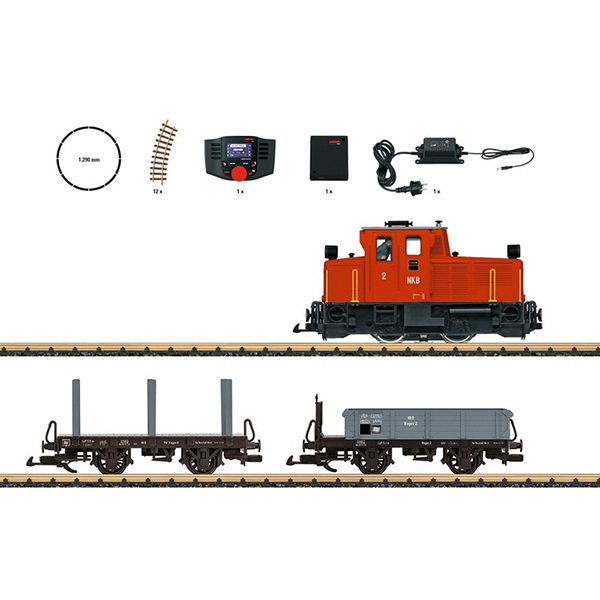 Product: This is a starter set for a variety of play options: a freight train with a diesel locomotive, a low side car, and a stake car. By Marklin: Unfortunately we have misjudged the demand of our customers for another new item. Due to a too low order entry there is no economical basis to produce item no. L70231 - LGB starter set with Mobile Station. This item will shortly be deleted from your backorder list. Please inform your customers accordingly. Factory decided not to produce this item. Production cancelled. If you have backorders with us for this item, it will be cancel.